The Green Media Campaign will make use of the media in all forms to educate and sensitise on environmental issues. Featuring some of the most experienced volunteers from Belgium and Australia, this campaign is already promising to be one of the biggest ever carried out by Green Cameroon. 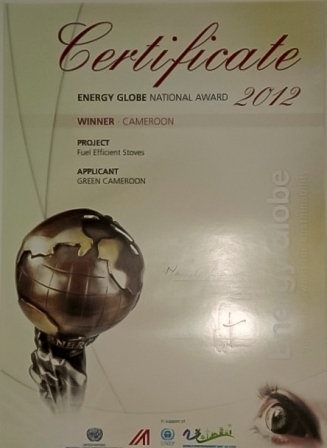 Advocacy towards the decision-makers for an increased attention to environmental problems. Interested volunteers can apply for a place in this project as there is always a lot to do. 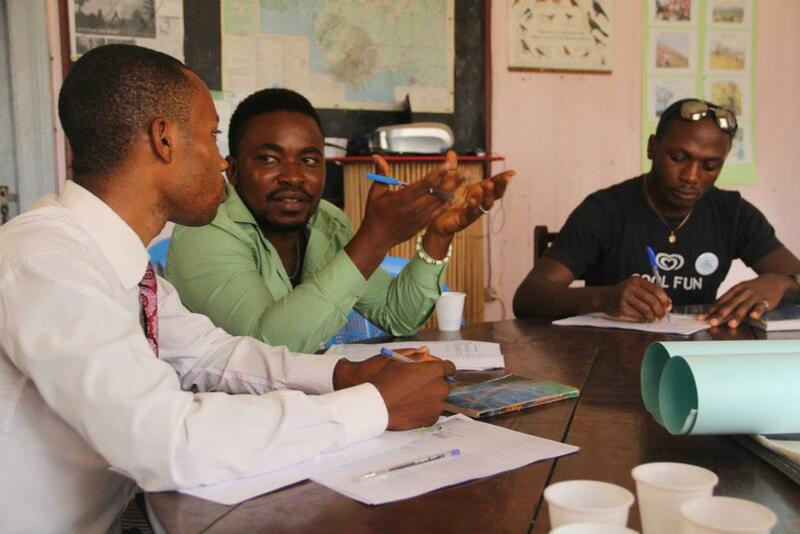 Green Cameroon aims at raising the level of community involvement in environmental concerns and get governments, companies and other institutions more involved in conservation issues. The program will be spread over a period of minimum 1 year and will cover the main areas of environmental issues through focused campaigns of a few weeks each time. This choice is led by the search for sustainability and long term oriented actions. The environmental issues tackled by the campaign are all part of 4 main predefined areas that will structure the program: Forest, Water, Waste and Agriculture. The first introductory campaign will consist in a two month intensive program of general information and activities, which will conclude in a climax event – the Green Week – whose objective is raising a large attention on environmental issues and on our activities, and thus facilitating the following campaigns and actions. The “two Green Months” campaign will take place at the local level of Buea and surroundings, and will make sure to target the main key populations such as school students, women, farmers, forest guards, and decision-makers. School activities will be emphasized as we believe that investing in the generation of tomorrow is one of the main avenues for sustainable change of behaviors and innovative practices. (Detailed activities can be found in the attachment). The Green Week will include diverse activities such as film projections, debates, presentation of case studies and invitations of experts and successful project coordinators, practical workshops, collective cleanings, nature walks, exhibitions, stands, etc. This first intense happening will be carried out together with partner organizations, as one of the implied objectives of the campaign is strengthening the collaboration between environmental NGOs and others that are working towards related goals, and harmonizing the actions in order to work in synergy. It is particularly important as we seek to ensure an increased sustainability to our projects and set up an enabling environment for further developments. The existing solutions and improved practices. Sustainable effects of the campaign through capacity building, continuous school activities and incentives for concrete actions and green business initiatives. Increased support of the institutions, and improved governance and policies, notably through innovative mechanisms for increased responsibility of the producers/ polluters. This supports will be raised by joined advocacy and information campaigns. Reinforced network, improved collaboration and share of material, and harmonization of our activities and actions. 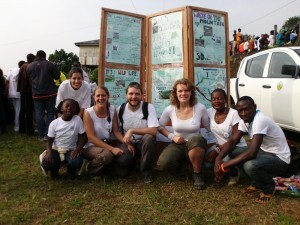 On Saturday, February 16th, Buea got filled with thousands of enthousiastic people during the yearly ‘Race of Hope’! 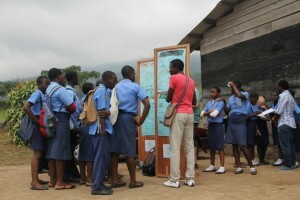 During this spectacular event, Green Cameroon set up a small stand to inform and sensitize supporters and participants concerning their impact on nature. It was a beautiful mountain race again! Special thanks to all of the visitors that stopped at our Stand! You can find many pictures on our Facebook Page! Special thanks to all of the volunteers that dedicated 2 days to participate to this training! You can find many pictures on our Facebook Page! This week was an eventful week in the schools. We started visiting the three high schools chosen for our intensive schools program to talk to all the students during their Monday morning assembly, at 7am. We visited them armed with our stands covered in colourful and informative posters, and many of our new volunteers, fresh faced and enthusiastic. The reaction was huge, with all three stands surrounded by more than 50 students within seconds of our arrival. All the volunteers did a great job of explaining many of the key environmental messages we wanted to get the school students to understand, and we had well over 70 students sign up for the intensive program in each of the three schools!! 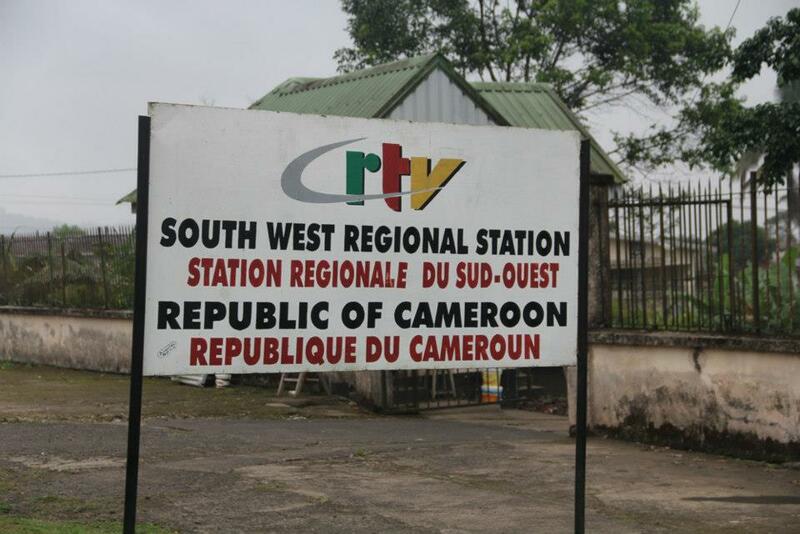 Edith Atoneche, journalist at CRTV Radio invited us to her ‘Planet Watch’ program to talk about Green Cameroon. The show will be broadcasted on Wednesday March 20th. 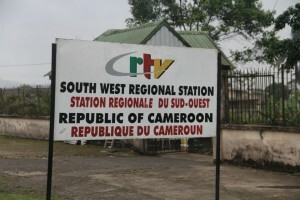 All listen to “Planet Watch”, at 9:30pm on the radio Buea, frequency 94.5fm!